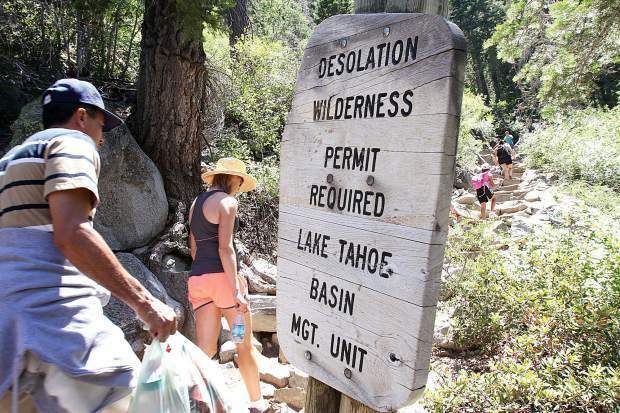 People hike into Desolation Wilderness during a recent summer. The popular wilderness area is located within the Lake Tahoe West project boundary. SOUTH LAKE TAHOE, Calif. — Amid a national conversation on what to do with the nation’s public lands, agencies in the Tahoe Basin are making changes to better manage state and federally owned land. The Lake Tahoe Restoration Act, which was signed by former President Barack Obama in December, allocated $415 million over 10 years for environmental management and restoration of the region — and also gave agencies in Lake Tahoe a push to create more contiguous land ownership for more efficient supervision. 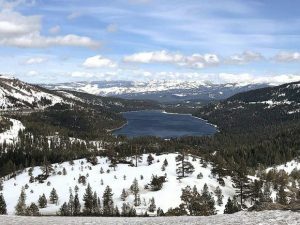 The act calls for a transfer of 1,981 acres of land from the California Tahoe Conservancy to the Forest Service in exchange for federally owned urban parcels amounting to similar acreage. Roughly 187 acres will also be exchanged between the California Department of Parks and Recreation and the Forest Service, while another 39 acres of the Van Sickle Unit will be transferred from the Forest Service to the state of Nevada. The Conservancy’s expertise, said Wright, is in restoring and managing urban lots. 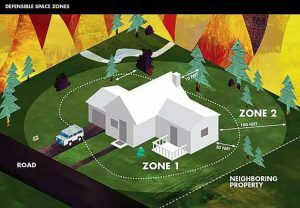 Additionally, the Lake Tahoe Restoration Act authorizes the Forest Service to sell all of its urban lots within the basin and use the proceeds to go toward purchasing parcels of private land that are surrounded by federal land. “It’s too early to say what that provision of the law will lead us to,” said Jeff Marsolais, Forest Supervisor for the U.S. Forest Service Lake Tahoe Basin Management Unit. Marsolais noted that any potential sale of Forest Service land would not be done without thorough public engagement. But just because the Forest Service can sell the urban lots, it doesn’t mean they are open to development. In fact, a majority of lots are deed-restricted and would remain protected under the Santini-Burton Act. The 1980 act recognized the threat of over-development on Lake Tahoe’s natural environment and tasked the Forest Service with acquiring sensitive lands in the basin to restore watersheds and administer erosion control. Any parcels that are available for development would also require the necessary development rights mandated by the Tahoe Regional Planning Agency. To date, the Forest Service has obtained over 3,500 parcels totaling 13,000 acres around the basin. Some recent additions include a half-mile of lakefront property and acreage at Secret Harbor, 300 feet of beachfront on the South Shore, and other large parcels adjacent to federal lands in the Kingsbury area. Since the first public lands were established in the basin in 1899 as the Lake Tahoe Forest Reserve (with just 37,000 acres and no lakefront property), land acquisition has slowly progressed to the point that 75 percent of the basin is federally owned and managed by the Forest Service. With the consolidation of National Forest lands in the basin in 1973, the branch of the Forest Service known as the Lake Tahoe Basin Management Unit was established, and it now oversees nearly 155,000 acres of beaches, trails, wilderness, historic estates and other recreation areas. The rest of the land in the basin is owned by California and Nevada (11 percent), local government (2 percent) and private parties (12 percent). While the Forest Service may own a majority of the land in the basin, efforts to restore and manage Lake Tahoe’s forests and water are increasingly becoming multi-agency pursuits. The Lake Tahoe West Restoration Partnership is one example of a long-term interagency environmental project currently underway involving the California Tahoe Conservancy, Lake Tahoe Basin Management Unit, California State Parks, Tahoe Regional Planning Agency, Tahoe Fire and Fuels Team, and the National Forest Foundation. The agencies are working to identify and implement a restoration and management strategy for over 80,000 acres of federal, state, local and private lands stretching from Emerald Bay to Squaw Valley. The group is currently working to finish phase one of the project, which is completing a landscape resilience assessment, by July. The next step is drafting a restoration strategy to address environmental impacts of drought, climate change, overstocked forests, and bark beetle destruction. Permitting and implementation of specific projects is not expected to take place until at least 2020. The hope is that the new ideas and approaches tested in the Lake Tahoe West project can be replicated throughout the Sierra Nevada. The next stakeholder meeting for the Lake Tahoe West project is set for March 7 from 10 a.m. to 3 p.m. at the Tahoe Mountain Lab located at 3079 Harrison Ave. in South Lake Tahoe. Claire Cudahy is news editor for the Tahoe Daily Tribune, a sister newspaper of the Sierra Sun’s and North Lake Tahoe Bonanza’s based out of South Lake Tahoe.